A province in the Visayas is spearheading the revival of the once blooming silk industry in the Philippines. 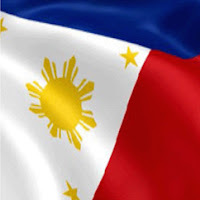 Teaming up with a Japanese NGO, the Philippine government is set to restart an industry that has flourished even during Pre-Hispanic times. The Fiber Industry Development Authority (FIDA) sees the growth potential of the silk industry and is formulating a long-term strategy in increasing silk production. In a project by the Organization of Industrial, Spiritual and Cultural Advancement in Negros (OISCA) that was initiated in 1999, OISCA Negros Occidental now supplies the highly valued materials for the kimono industry. According to FIDA administrator Cecilia Gloria Soriano, the majority of the global silk market is supplied by China owing to its huge silk production capacity. In order to be competitive in the global silk market, it would entail the tapping of other partners in the local industry, such as the Department of Trade and Industry (DTI) that will facilitate in the establishment of a textile mill which will capture the production. Local entrepreneurs and investors are encourage to put up textile mills since markets for possible products are now existing. FIDA in partnership with OISCA will identify products that will serve the needs of markets in Europe, the US and Asia. 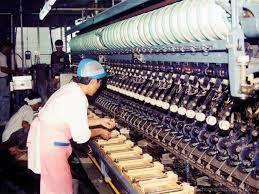 OISCA accounted for 80% of the country’s silk production in 2012. Negros Occidental was also discovered to be a suitable location ion the growing of mulberry trees whose leaves are the food of silkworms. The sericulture program generated jobs for 150 farmers at the OISCA Training Center in Tabunan, Bago City, Negros Occidental. This was through the introduction of cocoon production, silk reeling, thread plying, weaving and the manufacture of finished products of shawls, gowns, bag and a variety of products based on silk fabric. As a livelihood project, increased production is sought since the Silk Trading Association of Japan approached their NGO seeking alternative sources of silk since Japanese production has declined because younger Japanese no longer wanted to go into silk-farming. It is hoped that Negros Occidental will continue to increase its production. The challenge is that Negros is still oriented towards sugar production and that it took a lot of orientations and meetings before it was deemed acceptable to the farmers. OISCA is optimistic that more and more farmers will go into sericulture and silk production since the climate in Negros Occidental is conducive to sericulture that requires a temperature between 24 to 28 degrees Celsius.